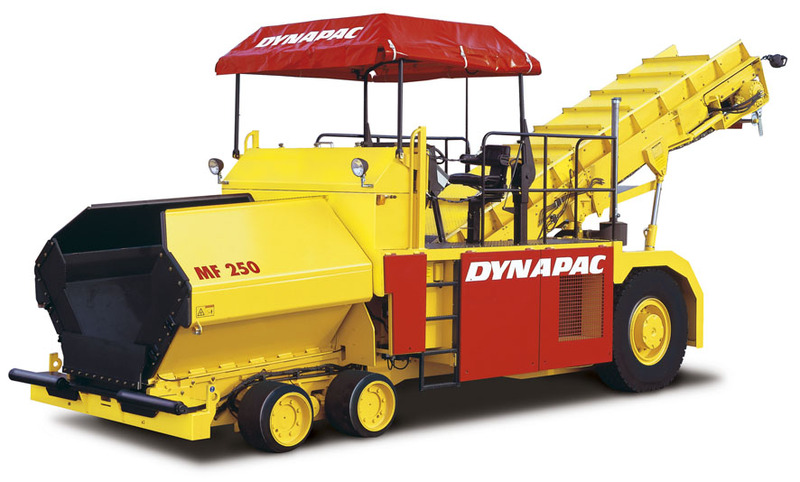 The MF250 is a transport and conveying system which is used as a non contact connecting element between road finishing machines and transport vehicles for carrying mixed goods. A hopper for mixed goods is used for storing the material. The hopper wings of this container can be folded up for better emptying and for even distribution of mixed goods. The mix is transported on a heat-resistant rubber type band conveyor, which leads the material to a sensor controlled, automatically height adjusted conveyor belt at the front end of the feeder. Eager to see the schematics of MF250?